The cup is made out of low grog white clay and granite blue glaze burned in the high fire. This vase is made out of low grog white clay and granite blue glaze burned in the high fire. 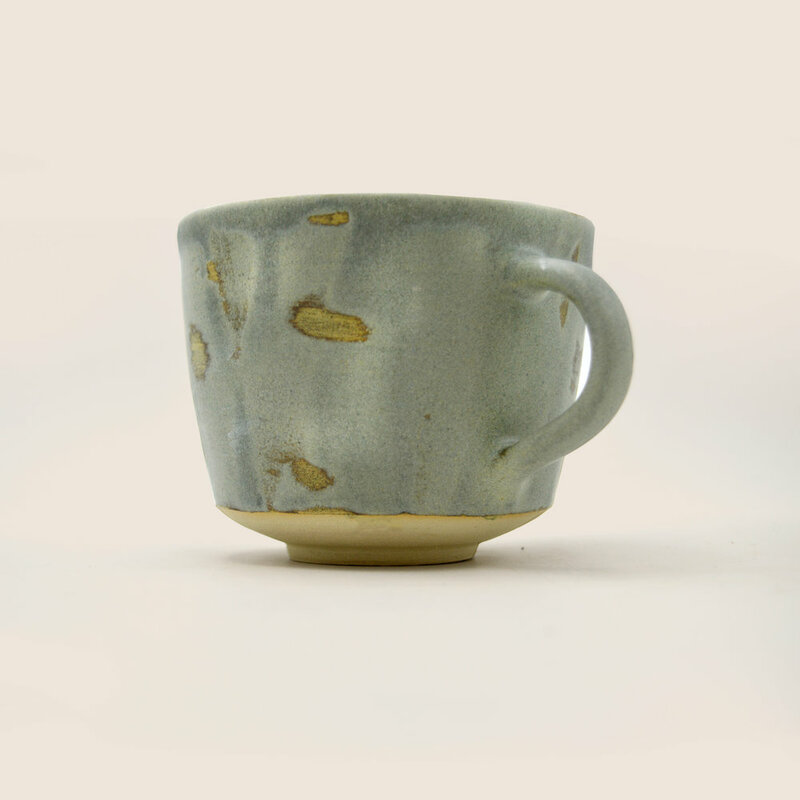 This cups are made from low grog light clay, high fired and glazed with blue rutile glaze. 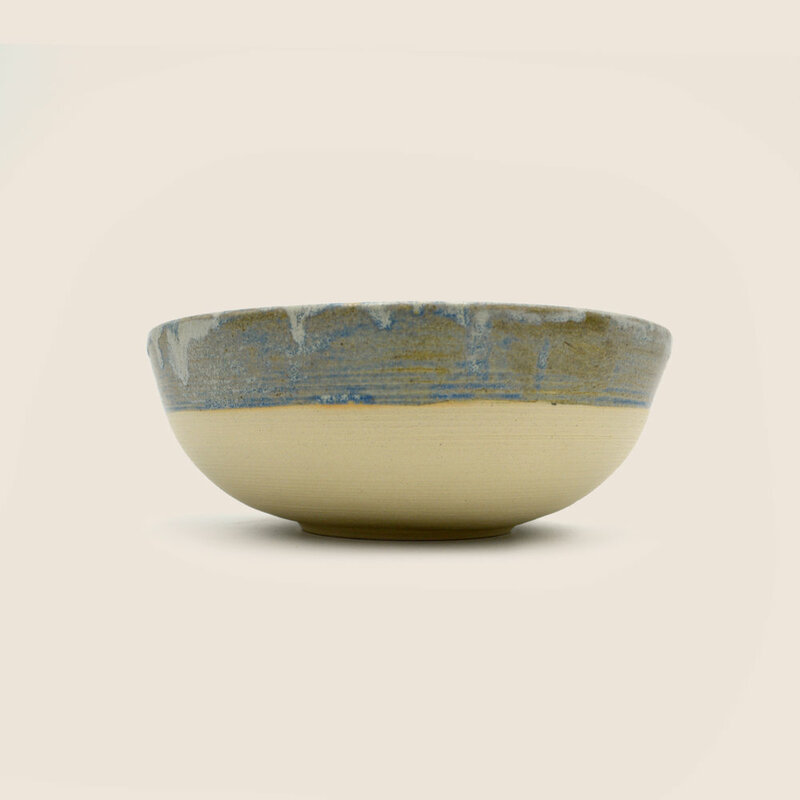 Big bowl made of light white clay and granite blue glaze, fired on high temperature. 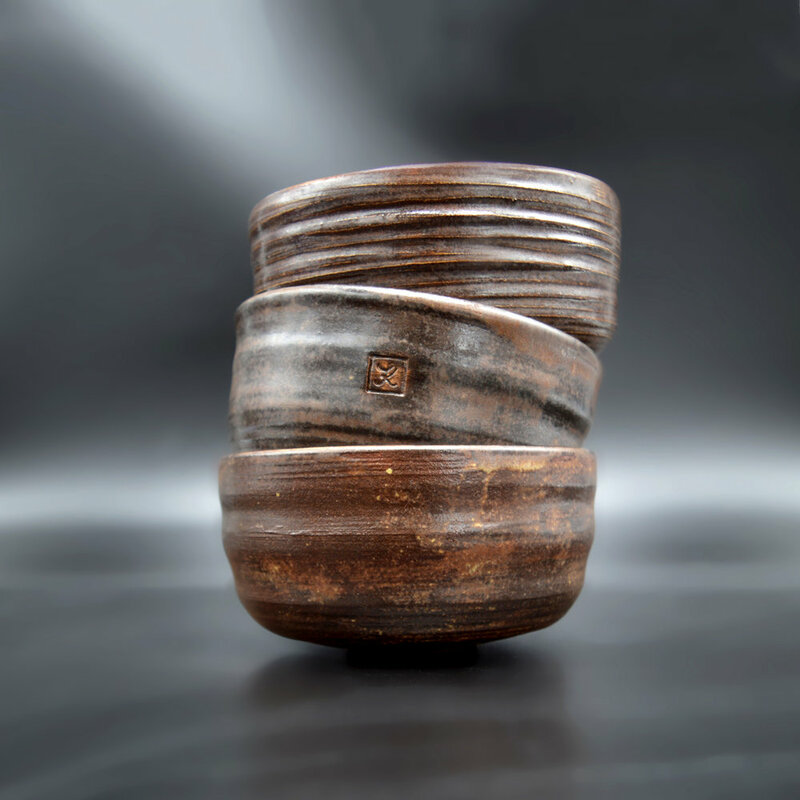 Hand built vase with the coil technique made out of coarse brown clay with stone like grog. Inside the vase there are eucalyptus leaves. Inspiration were irregularities of tree trunks. 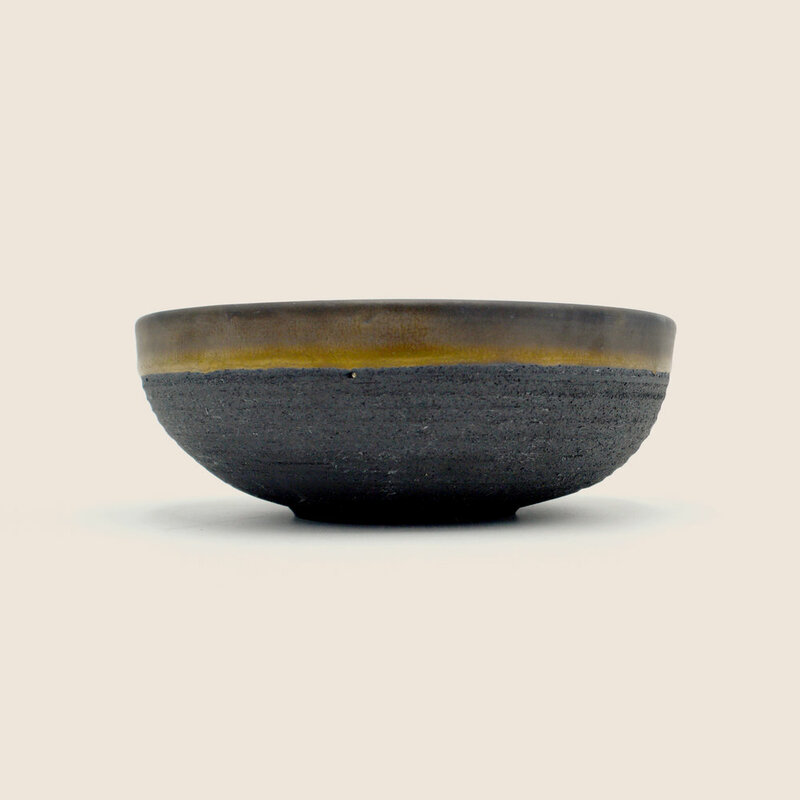 Thrown bowl made out of medium grog black clay and saturated gold glaze.